“You really should hike the PCT.” These are the words my husband blurted out in-between our heavy breaths from a particularly steep climb. 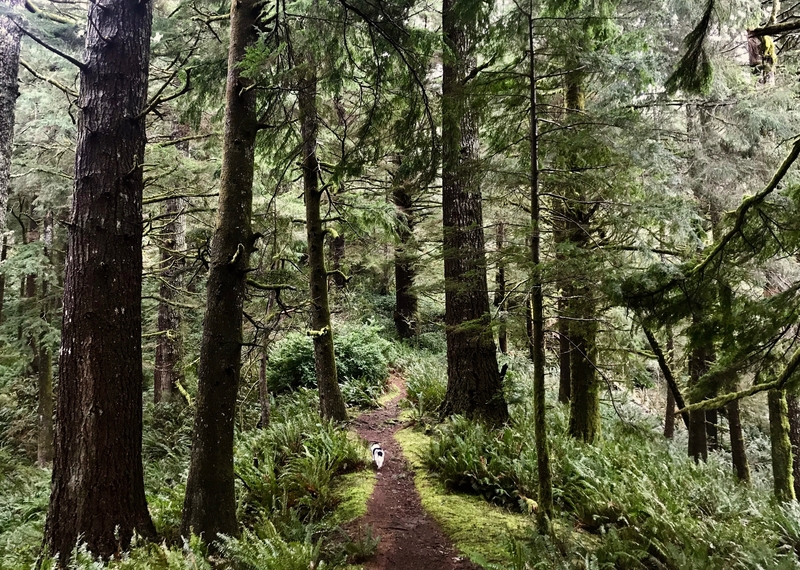 We were hiking a trail along the Oregon Coast, having just passed a sign for the Oregon Coast Trail. I had mentioned how I would love to start backpacking and maybe one day hike a long trail. 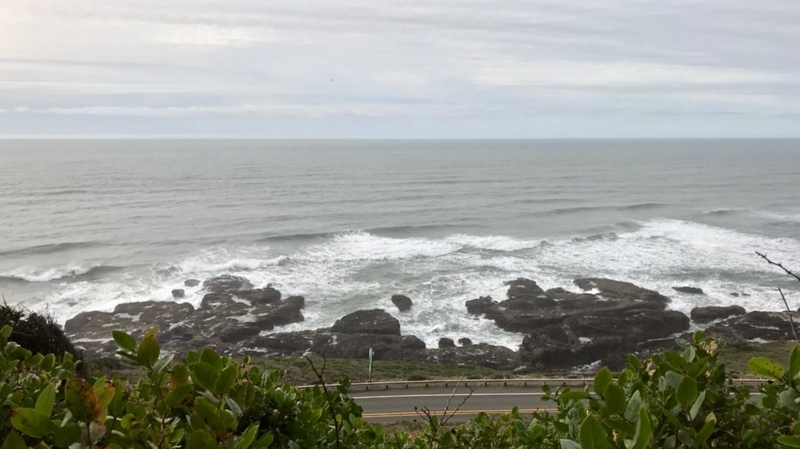 I had listened to the beginning of Elizabeth Gilbert’s Big Magic on the winding drive up Highway 101 and was feeling particularly brave enough to dream. Dreaming is not something typical of my personality, which tends to err on the side of realism and caution. I was quiet for a moment, contemplating his words. 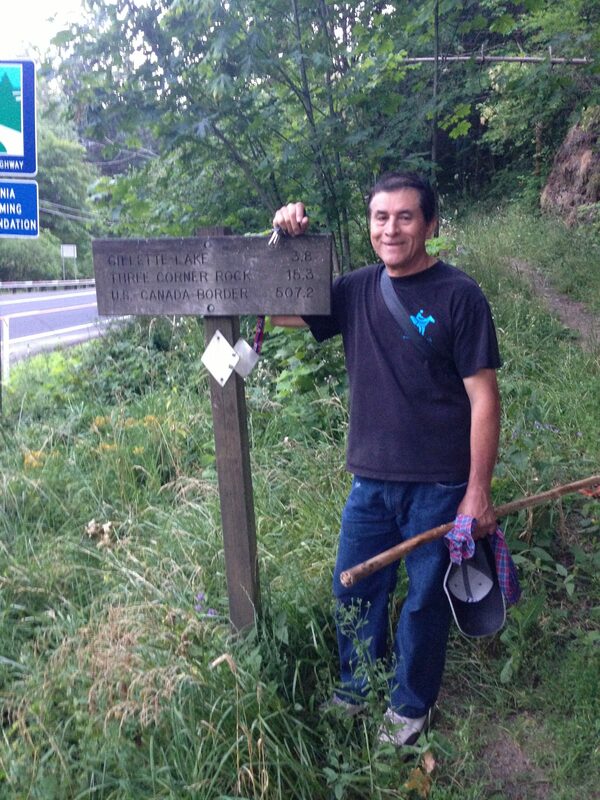 This was not the first time hiking the Pacific Crest Trail had been brought up. Photos from that hike along the Oregon coast when I first began to truly contemplate a PCT the-hike. To begin I have to go a bit back into my history. I was born and raised in the beautiful Pacific Northwest. I thrived and struggled beneath the constant watch of Mount Hood and Mount Adams. I became so familiar with those views that it took me moving away before I ever truly appreciated my luck in where I was born. Growing up, I vaguely recall hearing mention of a trail that went the length of the United States, but to my knowledge I never stepped foot on it during my formative years. Fast forward to the summer of 2013. I had left my beautiful home state of Oregon, gotten married, bought a home, started a business, but always missed home. Lucky for me, my family all still lived in the PNW, so I would come home often to visit. During one such visit, in the summer of 2013, a seed was planted in my mind. Often when visiting home my dad and I would go hiking. It has always been the time that I feel the closest to my dad, so I would always beg him to take me whenever we had a chance. That day we headed out for a short but breathtaking hike up Beacon Rock, along the Columbia River Gorge on the Washington side. We were up and down that rock as quick as can be (my dad is an incredibly fast hiker). We were about to head back over the river via the Bridge of the Gods when my dad pulled over by a trailhead sign that read Pacific Crest Trail. He told me that he had always wanted to see where that trail went. We hopped out of the car and read the trail sign. We then made a spur-of-the-moment decision to hike to Gillette Lake. About a mile or two into our hike we came upon a woman and her pup. We stopped to chat for a bit and she told us that she was section hiking Oregon and Washington. I remember being completely in awe. I was blown away that a woman was so brave as to set out for such a journey solo. I couldn’t fathom ever being so bold although something in me quickened at the thought of such a journey. Since that day, hiking the PCT has been a dream that hovered on the edges of my mind trying to lure me in, but fear always chased it away. What I didn’t realize on that hike was that returning home from that trip in 2013 would be the beginning of five years of many challenges and struggles that often threatened to break me but in the end made me stronger and braver. Those years not only were difficult but they were teaching me to believe in myself, to face fears even when everything inside screamed at me to run away, that I could make it through even some of the most difficult situations. So when Brice said those words, almost exactly a year ago, I believed that maybe, just maybe, I was strong enough to attempt such a journey. So it began, single phrase said by someone who believes in me (more than I often believe in myself) catapulted me into a year of dreaming, saving, planning, and prepping. And with that, I am finally ready to say that in 2019 I will be attempting to thru-hike the Pacific Crest Trail. 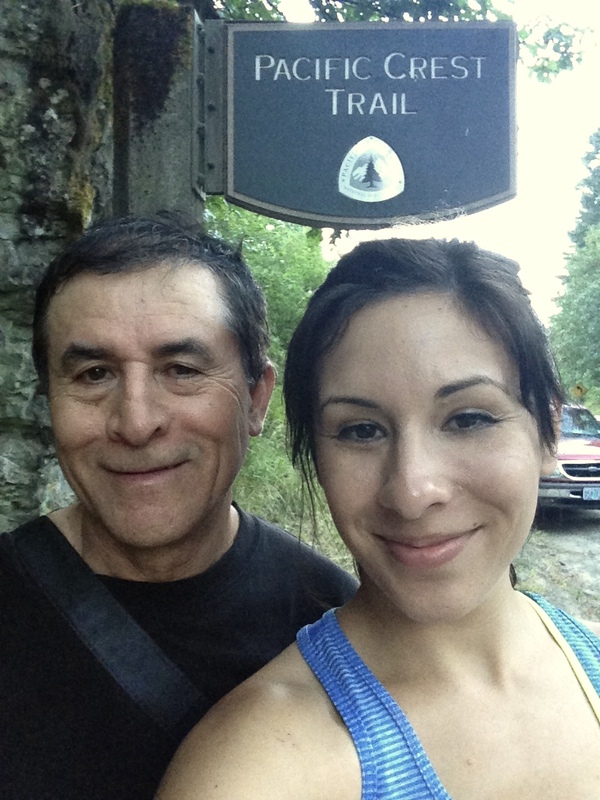 Hiking with my dad on the PCT for the first time in 2013. Gillette Lake on the Pacific Crest Trail. I know I may have some friends and family that aren’t sure exactly what that means, so I will give you a short rundown of what my journey will look like. Where does it start and end? I will be setting out (with only what I can carry on my back) this spring from the Mexico/United States border and start making my way north (NOBO) toward the Canadian border, which is the ending point of the PCT. Who are you going with? I am going solo but will (hopefully) meet a lot of kindred folk along the way. 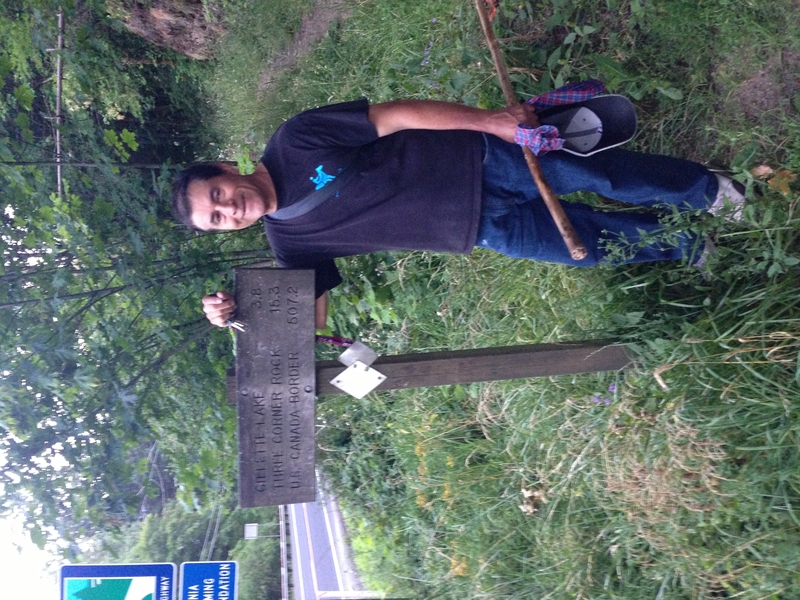 Will I hike the entire 2,650 miles?? I sure hope so. I have had knee and feet issues during my training, which is part of the reason I have hesitated to announce my trip publicly until now. I am doing a lot better, but it is really hard to say how my body will hold up. I have decided, though, that I will enjoy the journey for as long as it lasts. I can’t give up before it even starts because of what ifs. I have let the intimidating unknowns hold me back far too often in life. I am determined to finish but also aware that many don’t. Walking for 2,650 miles isn’t just a walk in the park and only the most determined finish. I really hope I am one of them. Am I scared? Heck yeah, I am. But I have been on this earth long enough to know that it’s often the things that terrify you the most, the things that you don’t know if you are strong enough to handle, that result in the most beautiful rewards. So here I go, on the adventure of a lifetime. I don’t know what exactly to expect but I do know from research that I will most likely experience some of the lowest of lows, hand in hand with some of my life’s highest highs. I will appreciate (read need) any and all support and encouragement along the way. I hope to, if nothing else, to inspire others to be brave and believe in yourself. Welcome to my journey; it’s going to be a wild ride and I’m glad you’re here for it. My first backpacking trip on the Broken Top Loop in Central Oregon, where I fell in love. Oregon born and raised, it took me leaving and living in Georgia for all of my twenties to fully appreciate the beauty of home. Finally back, I have thrown myself fully into exploring nature and walking down as many dirt paths as possible. Hiking the PCT has been on my radar since 2013 but I never imagined that I would ever be brave enough to really give it a go until about a year ago. I am a professional wedding and portrait photographer and hoping to bring a camera along for the ride. I am leaving my husband and puppy at home for this journey. I will miss them immensely so please hug me if you see me on trail! or in town;) Can't wait to share my journey with you all! As a 2018 nobo finisher, I am sending you positive thoughts. Know that you can do this; you can do this! No luck needed, just gobs of committment and perseverance. Your peers believe in you! Thank you so much Chris! It feels great to have the support and encouragement of those that have already completed this journey! I appreciate it and congrats on completing the pct! I’m incredibly proud of you embarking on this journey! It will be tough, but you got this! I know you will do it! Thanks Deb, I really appreciate it! Thanks for being such a great friend and cheerleader for me! You’ve got this! Just remember something that I was told while hiking a section of the PCT by Larb, who was doing a thru hike. It can be hard at times, but if it were always easy you wouldn’t appreciate the great views and good times nearly as much. Later that day while cooling off in a creek, I realized how right he was. If I had driven to the nearest trailhead and hiked in 2 miles, relaxing in that cold creek wouldn’t have seemed like heaven. I wouldn’t have been able to truly appreciate it. This is so exciting! I’m so proud of you, Belen! I’m rooting for you!